I’d give this one two thumbs up but my hands were too busy pouring myself another glass. I mean, I had a hunch it would be a good one. This is the other bottle that my friend Mike gave me on my birthday and as I mentioned before, he’s got some good wine picking skills. I pretty much just need him to start writing guest posts here, don’t you think? Matt and I both love Malbecs, so we opened this up one night when he had just finished a string of working 7 shifts in a row and we were ready to kick back, savor a good meal and celebrate a few days off coming up. We paired it with a hearty spaghetti, and they got along very nicely. It’s a perfectly smooth wine, with just enough body to balance out the bite and a somewhat creamy mouthfeel to it. General impressions: Some bite to it right out of the bottle, would probably do well with some time to breathe, but nicely balanced by a hearty meal. Would make a nice winter wine (pair with a steak dinner). Not heavily fruit forward, but still some hints of blackberry. Would you buy again? Yes, and I’d probably stock up if I ever came across it on sale! Can you just write an entire blog devoted to Malbec? It is my favorite (drinking some right now) and I would say it goes with everything. Malbecophile? Malbec-a-holic? Malbecobessed? 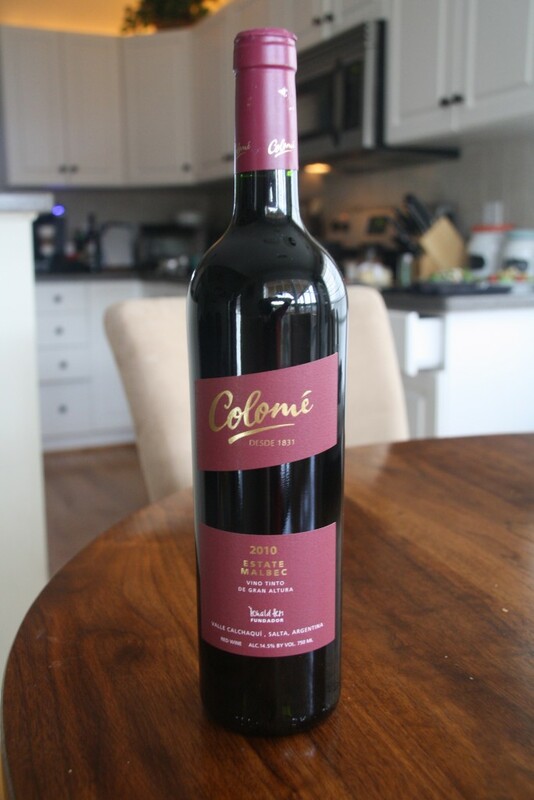 Anytime you want to guest blog about your favorite Malbec let me know! Malbec is tied with Zinfandel for my favorite red!